There are many schools of thought and models that address the software development cycle, but in general it can be simplified into two distinct categories: pre-deployment and post-deployment. This distinction extends beyond the initial software development - any piece of software will have numerous iterations, and as such this cycle is continuous in nature. Historically, developers have generally focused on the former, while marketers focused on the latter… But this is changing. In the dynamic era of the Internet today, these two groups are converging to build increasingly powerful products and services that harness the power of modern technology coupled with marketing efforts that help make one idea stand out from the rest. Although there are lots of tools that help each group do their job in isolation, there is a serious lack of tools that help the two interact. 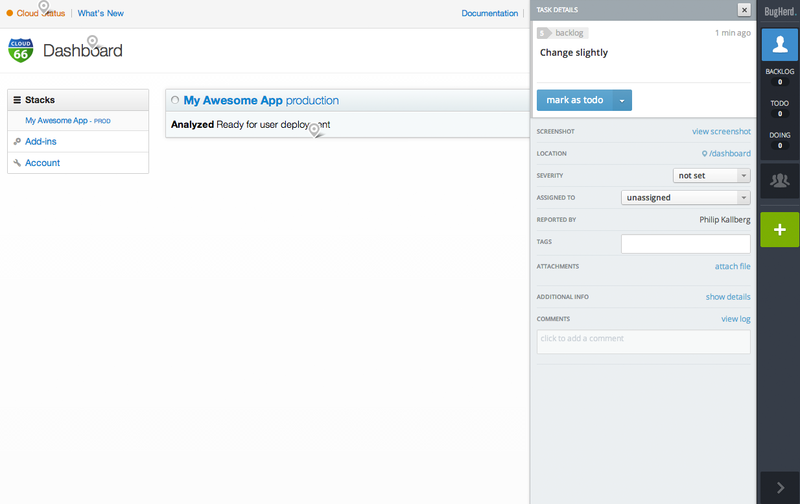 For example, the pre-deployment cycle has tools like Bugsnag and Assembla, and the post-deployment cycle can leverage tools like Google Analytics, CustomerIO and Crazyegg. This solution makes life easier for both parties - clients can send their feedback across with the click of a button, and developers can see and manage this feedback across their team. One feature we especially like is that you can automatically see which browser your client is using, which saves a lot of work for front-end developers. 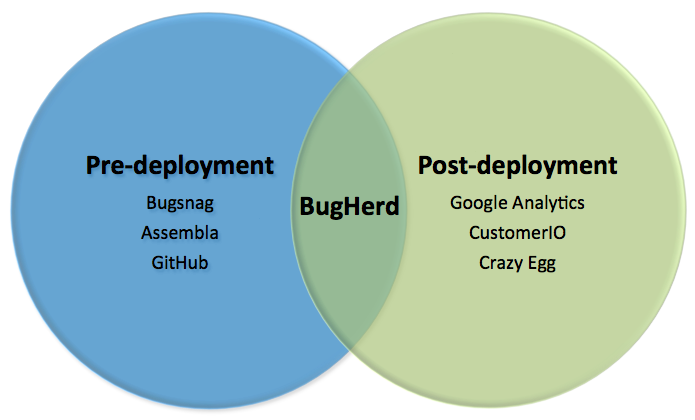 Seeing as BugHerd is a visual bug tracker, we’d like to see them either move into handling other types of bugs as well or integrate with services that do.They are already integrated with services like Basecamp, GitHub and Redmine (which by the way, you candeploy swiftly through Cloud 66), and it’d be great to see support for other collaboration and bug tracking tools as well. Not only is BugHerd perfect for visual communications between marketeers and developers in a company, but it is a much-needed productivity tool for developers working remotely. As the roles of marketers and developers converge, tools like BugHerd are quickly becoming indispensable to both parties.